Clinical Research and IT. Yes, these two used be quite unrelated decades ago. However, neither doctors nor researchers can imagine the field of life science progressing any further without the help of technology. There are plenty of things that connect the two sectors. 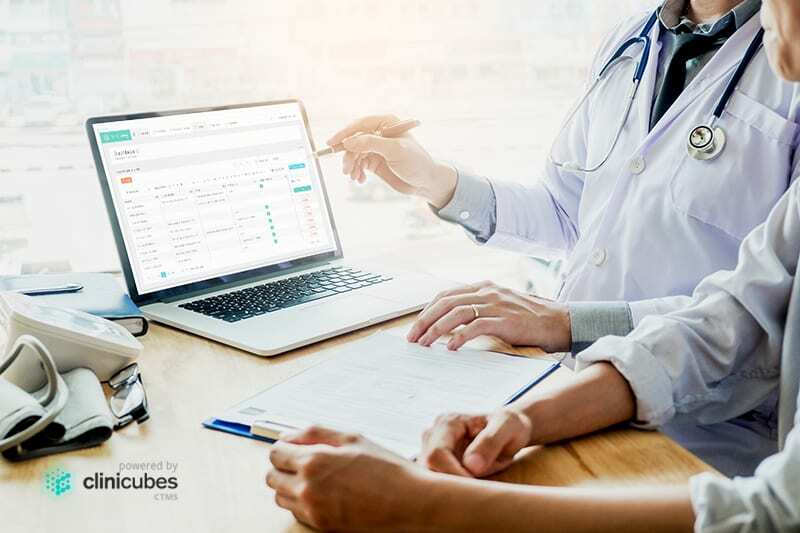 Currently, one of the main reasons why clinical study professionals look forward to the integration of software solutions is because they want to simplify as many complexities as possible. One such is patient recruitment. Study volunteers are the foundation of research projects. Not having enough study participants or having sufficient number which consists of ineligible people is something that hinders the progress of a trial. In other words, it is doomed to fail. Respectively, patient recruitment and patient outreach turns into one of the main reasons that identify a trial as successful or not. And we can’t neglect that. Poor or inadequate recruitment can have a negative impact on future projects or may lead to really negative consequences. Some of them include: patient’s distrust, integrity deflation, and decreased revenue, increased dropout rates in some of the following study phases, and so on. However, well-managed recruitment practices certainly reduce dropout rates, reduce the amount of suspicion and insecurity in potential volunteers, save time and efforts, and decrease additional expenses. But how can clinical research experts narrow down such obstacles? What can help them score better rates? The answer is – technology! And here are several tips to keep in mind when trying to solve similar difficulties even when you have incorporated an IT solution, such as CTMS. If you don’t, start from there. It may seem a bit logical that clinical trial management systems are a problem-solving method, but many still neglect that option and rely on “more secure” paper-based mechanisms. Nevertheless, to fight patient dropout rates and to increase patient recruitment, it is a good idea to apply a well-performing CTMS that creates an easy singing-up and recruiting process. For this particular purpose, choose a fast and user-friendly CTMS that provides robust search capabilities, captures real-time subject data, and sets up an extensive subject database. Consider key factors that go beyond the typical ones like age, gender, geography etc. Be ready to compile a full and more thorough profile of the patient. Take into account questions such as “How often do they use social media?”, “Do they rely on online sources?”, “Is their purpose for enrolment finding entirely new cure for disease or do they want to receive a possible treatment for their medical condition?”, and so on. Select appropriate branding techniques and deliver the right message to the public. Talk about your mission and scientific project, using plain language and easy-to-understand words. You can also use technologies to attract newcomers by providing an additional service like free of charge memory testing, hearing tests, or diabetes screenings. Keep your audience well-informed. Make sure to use technologies in order to compile and share regular updates and news about completed, ongoing, or soon-to-be-conducted trial. Provide enough training materials and instructional tools. They will serve the needs of readers and will increase the interest of subjects in your study. True, the process of enlisting human subjects in clinical research is intensive, a bit tedious, time-consuming, and costly. It is often followed by unexpected and expected complications or issues that are caused by patients, but sometimes even by investigators. It’s really important then to address and understand both sides and their concerns. Only this way can you achieve success and execute productive recruitment plans. And when still the process of recruiting patients seems to be too difficult, remember that with the use of the right custom-built or ready-made solution you can increase patient recruitment and retention with up to 60%. If you are looking to invest in a CTMS, our clinical trial management system is the right solution for you. The system increases the productivity of the clinical research sites and the number of successfully completed trials. It also streamlines the entire clinical trial process, making the CTMS implementation an easily attainable goal. We will provide you with substantial live Clinicubes CTMS demonstration, where we can discuss the entire list of questions that you have. Get in touch and take advantage of what our clinical trial management system offers.